Another year has come and ending soon. On the verge of the ending of 2017, our country has seen and experienced some of the memorable events both abroad and locally. 2018 is here and I am still on my sacred duty to fulfilling my new year’s resolution since year 2014. Nevertheless, we all have our own of stories each year whether as in joyful or painful moments but for now, we look into some of the trending stuff that happened in 2017. Doo doo doo doo.. The catchy song by Pinkfong has been on wildfire in the social media lately, encouraging both the kids and adult viewers to do the challenge of hand gestures from the baby shark to the grandpa shark. This has been one of the trending phenomenon happening around the world. Puerto Rican Luis Fonsi’s music featuring Justin Bieber has been the highlight of the year 2017, as the song kept replaying and repeating on every corner of radio channels from the very seat of your car to the office where colleagues would play it continuously to the burger stall while you are waiting for the cheese burger you are craving for. We have seen some of our memorable and perhaps the prestigious monuments for us being demolished, such as the removal of the bear sitting on the roof of the Blondal company. The bear icon is no stranger to the Federal highway users especially who are living in Klang where it was a sign of the journey closer to home every time we passes by it. Besides that, we were also unfittingly treated with the closing of Subang capital area of hangout and yamcha, Asia Cafe where the signature icon of eatery closes on 31st October 2017 to be demolished for a new development project. Wanderlust favourite store FamilyMart has been on the verge of new branch openings lately, since the very first outlet was opened in KL last year. The mart offers varieties of easy-to-go food, from finger food to snacks and chips to prepacked meals to the signature green tea desserts. Throughout 2017, we have seen a number of the popular mart popping up in every corner of the town and city, most recently in Cheras Leisure Mall, Paradigm Mall, Summit USJ and Klang Bukit Tinggi. These 24 hours food convenience store are sure to be more lit in 2018! 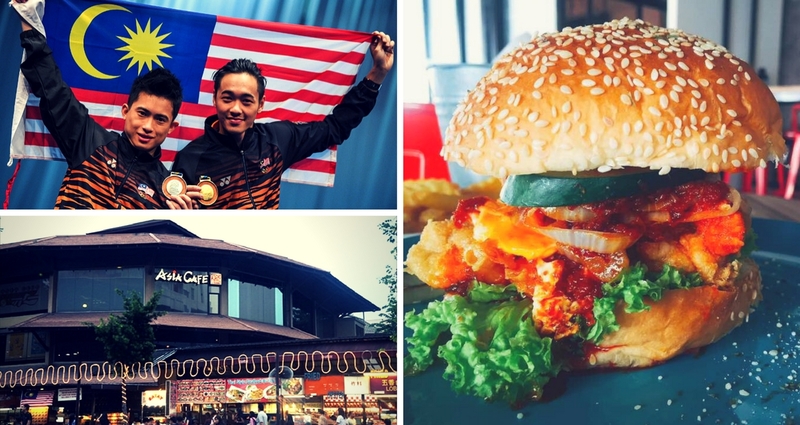 Our local friendly, signature nasi lemak has been on fire and the centre of attention in 2017, with first being reborned as the nasi lemak burger initially in McDonald’s Singapore, thus gaining the attention in social media that lead multiple brands creating the legendary beast such as myBurgerLab, Burger King and various cafes joining the fray. Not only that, some has even come up with the bizarre recipe of nasi lemak pasta and cakes. Look and watch the advertisement attentively. From YouTube or the TV, listen to the crunch and munch, the sound of the spicy spices blowing, the orangy spicy colour of the chick, and then you will know, you are immediately so tempted to go to the nearest McDonald’s and grab a bite of the hot and spicy, juicy Ayam Goreng McD that had made a glorious return to the arena of fried chickens from earlier this year till today and still growing stronger. It was the year of unfortunate event for Malaysia as the cold season has strucked in the form of raining in cats and dogs that affected major flash floods in some areas especially in Kuantan and Penang. Nevertheless, the Malaysia unity spirit still lives on as we work together in providing shelter and volunteering as support group in amending the aftermath disaster. 8) Food, Foodies, Makan Trend, New Taste in Town and Cheese Everywhere..
Our homeland serves as the host for SEA games this year and we have discovered the many talented athletes of Malaysia, overcoming competitors from 11 countries and winning an outstanding overall of 145 gold medals in different categories of the games. It was an honour of Malaysians to cheer for these proud champions of our homeland. Earlier this year we nearly got uninvited to be the guests of the film hit phenomenon, Beauty and the Beast due to controversies that affected the screening in Malaysia. Fans of the movie were so disappointed and worried that the film might not be shown at all and banned in Malaysia. Fortunately, although with delayed release in our cinemas, we are able to experience the live adaptation of the classic Disney tale of the beast and the beauty finally..